My story is a typical East End story. 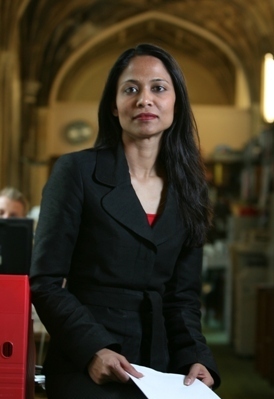 I grew up in Tower Hamlets, having moved to the UK from Bangladesh when I was seven years old. My family's migration is part of a long tradition of people who came here to build a better future for themselves and the people around them. My achievements are the achievements of the teachers and youth workers at Mulberry School and Tower Hamlets College. It was their belief in me that gave me my passports to opportunity – a place at Oxford University and jobs in Parliament, the Institute for Public Policy Research, the Foreign and Commonwealth Office, the Home Office and now as an Associate Director of the Young Foundation in Bethnal Green. I know how to make change happen – I have experience of doing this at a grass roots level. I helped set up Tower Hamlets Summer University, which has benefited thousands of young people and cut youth crime. I helped develop Language Line, a telephone interpreting service to help people with language difficulties in cases of emergency. I was formerly a Governor of Tower Hamlets College where I studied and am now a Commissioner for the London Child Poverty Commission because I am passionate about protecting children and families from poverty, along with being a Trustee of the Paul Hamlyn Foundation � which supports people to realise their potential and have a better quality of life through education and the arts.